Do you want to create full, luscious and kissable lips? You can immediately augment or enhance your lips with lip fillers and lip injections. Your Lips are often the focus of the eye and the center of attention. 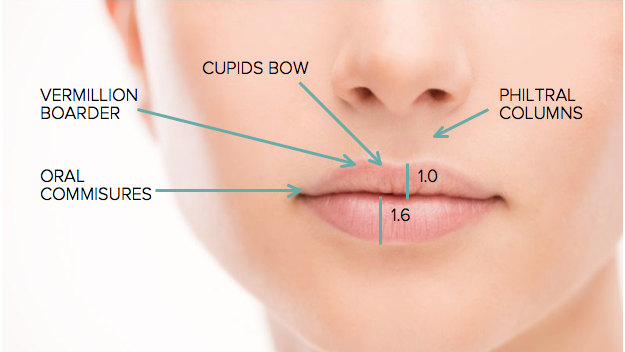 Lip Injections can create fuller lips, accentuate the lip line, or create a more defined cupid’s bow to give a natural sensuous look. 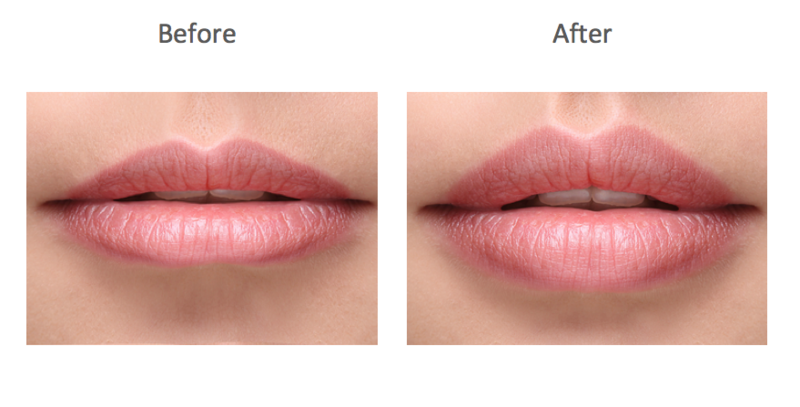 Lip Fillers can also be used to enhance the vermillion border (the outline of the lip), provide fullness where needed in both the upper and lower lip. Popular lip fillers include Juvéderm Volbella, Restylane, and Teosyal Kiss. Lip injections are a very common procedure in the cosmetic world for any age group. Although lips get thinner and generally more lined naturally as we get older, many people are unhappy from a very young age with the appearance of their lips. Enhance your smile by creating more lip volume, defining the lip line, correcting marionette lines which pull the mouth downwards, or reducing smoker’s lines around the mouth. Do you want to create full, luscious and kissable lips? You can immediately augment or enhance your lips with semi permanent or permanent fillers that look natural, with lip augmentation. Fillers can be used to enhance the vermillion border (the outline of the lip), provide fullness where needed in both the upper and lower lip. Popular fillers include Juvéderm, Restylane, and Teosyal. A permanent or semi-permanent way to reshape or create fuller lips. This new treatment has been uniquely designed for a natural look and feel, with less swelling compared to other lip treatments, enabling patients to return to their daily life more quickly following treatment. JUVÉDERM® VOLBELLA® with Lidocaine is different – it gives an ultra-smooth, natural look that can be used to tailor or enhance your smile. In addition, this is the only dermal filler clinically proven to last up to 12 months in the lips with a single treatment, so it gives a long-lasting effect. Developed by Allergan, Volbella is formulated with an innovative combination of low and high molecular weight technology, which delivers an ultra-smooth gel resulting in a natural look and feel as well as improved duration. Volbella is an FDA and Health Canada approved lip filler that uses a process (Vycross technology) known as cross-linking. Cross-linking makes it possible for injectors to deliver a gel product of a specific consistency to deliver longer-lasting results. What Can I Expect During the Volbella Treatment? The Volbella injection treatment is a very simple procedure. The entire treatment usually takes about 15 – 30 minutes to perform. Expect to see an immediate change in your lip and surrounding skin’s appearance after the Volbella treatment. Some swelling, redness, and puffiness of the lips are common side effects. However, these symptoms should go away within hours or within a few days, and your final results will be fully noticeable in about a week. Additional filler gel may be added to improve your results if necessary after at least one week. Is there any After Care following a Volbella Injection Treatment? You can resume normal activities and your workday right after receiving Volbella. For optimal treatment results, avoid massaging the lip area after your treatment to avoid any migration of product. Use a small ice pack to minimize any discomfort, and avoid alcohol and strenuous activity for a day after treatment. Teosyal Kiss is a highly viscous formula, and contains very high plumping power when used in the lips. Teosyal Kiss’s main purpose is to reshape the contours of the lips, increase lip volume, treat wrinkles around the mouth, rehydrate the lips and support lip corners. As Teosyal Kiss is specifically designed for use in the lips, it is highly cross-linked. This results in the gel within the treatment being substantially more resistant to being broken down. Resistance to being broken down means that Teosyal Kiss boasts an optimal life span of 6 – 9 months. Give yourself the lips you’ve always wanted! Give yourself a KISS!